FAQ: How Can Businesses Determine Merit and Compensation Without Ratings? It turned to HighGround to help re-tool performance management from an annual, dreaded process to more continuous, real-time feedback and coaching. The post [Video] HighGround Customer Story: LRW appeared first on HighGround. Congratulations to Jerry Chiang of UC Berkeley, who is the inaugural winner of the HighGround Scholarship! Earlier this year, we announced the HighGround scholarship to learn more about how today’s college students understand workplace culture. As an HR tool, HighGround is highly invested in understanding the mindset of the future leaders of the HR industry. The post And the Winner of the HighGround Scholarship is… appeared first on HighGround. How well do you know the people behind HighGround? Today we cornered Gina Slesar for her thoughts on working at HighGround. How’d you get your start at HighGround? I joined HighGround in February 2015. I researched some local startups and found HighGround. At HighGround, we take diversity seriously, and today we’re giving you a prime example: Alyssa Venere Braun. but Alyssa shares why she did and what she loves about her job, HighGround and the HR tech space. What attracted you to HighGround? How much HighGround values curiosity, grit and rolling with the punches. I lead our Strike Team, which is HighGround’s first line of defense against defects and bugs that may pop up across our platform. How did you find your way to HighGround? At the HighGround table, I met my future mentor, Nadia, a senior developer, and the head of our QA department, Marcie. We talked about the variety of opportunities at HighGround and the dynamic environment the engineering team functions in. I felt like HighGround was a place where I could be exposed to a lot of different engineering roles and grow as a developer. How is HighGround disrupting the HR technology space? However two HighGround leaders, Chief Customer & Technology Officer Anjoo Rai-Marchant and Chief Engagement Officer Andee Harris, recently shared their viewpoints on how gender equality in the workplace means women and men work to support one another to produce the best work. 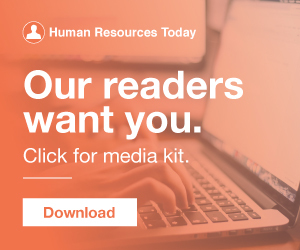 From case studies and webinars to tip sheets and reports, the HighGround resource library is constantly updated with new content that helps HR leaders launch and optimize great performance management and recognition programs. To understand how performance management initiatives contribute to more meaningful work experiences for employees, look no further the 2018 HighGround Meaningful Work Study. Earlier this month we counted down the top five blog posts of the year. Things have been in full swing over here at HighGround since CEO Andee Harris took the helm, so much so that we haven’t had time to stop and introduce her on the blog. Andee celebrated her two-year HighGround anniversary last month and was previously our Chief Engagement Officer. That’s where HighGround comes in. The post HighGround’s Top 5 Must-Read Blog Posts of 2018 appeared first on HighGround. The world of HR moves fast. While workforce trends come and go, it doesn’t change the fact that today’s highly competitive business environment means that employee performance is more important than ever. HR leaders must do everything in their power to create environments where employees can thrive and perform at high levels. As I described in an article a few weeks ago, innovation in performance management reigns. The annual appraisal is going the way of the dinosaur and almost every company I talk with is focusing on. To help understand these differences and commonalities, HighGround recently conducted a survey meant to take the pulse of current feelings around performance conversations. The post Unveiling the HighGround Performance Management Data Study appeared first on HighGround. 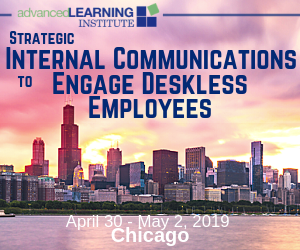 New strategies to improve employee performance and engagement are evolving just as quickly as they are being discovered. 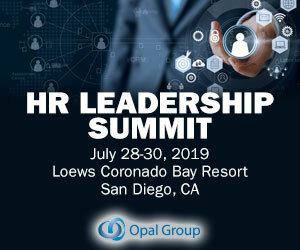 In this roundup, In Their Words: HighGround Customers Tackle Performance Management , five HR leaders share their thought process behind designing their processes, the practical side of implementing it and how it’s helped their companies re-imagine their goals for employee engagement. The post Performance Management in HighGround Customers’ Own Words appeared first on HighGround. The HighGround experience facilitates this key goal-setting tactic in a few different ways: Company and department goals are set up by leaders and managers. The post A Look Inside Our Technology: How Successful People Use HighGround to Reach Their Goals appeared first on HighGround. When we think about what it takes to achieve our professional goals, most people point to having a growth mindset as the most important factor. HighGround’s Commitment to Data Protection and GDPR Compliance. HighGround is on track to achieve compliance with GDPR requirements before the new EU regulation are enforced in May. We believe HighGround can help you meet those expectations. HighGround enables global organizations to collaborate more effectively across the globe while safeguarding and protecting employee personal information and privacy. As the founder and CEO of HighGround, Vip Sandhir spends more time than most thinking about the employee experience. The post [Video] From His Worst Boss to His Best Advice: An Interview with HighGround CEO Vip Sandhir appeared first on HighGround. As always, you can stay up to date via the entire HighGround events calendar : Argyle’s 2017 Human Capital Leadership Forum. The post HighGround Hits the Road: Upcoming Events and Webinars appeared first on HighGround. Summer is sadly coming to a close, which means we’re ramping up for a busy season of events including webinars, conferences and other networking opportunities. A group of HighGround employees spent the morning at the Breakthrough’s Fresh Market helping stock the pantry, greeting customers, bagging groceries and sorting through food deliveries. Working with the Breakthrough team was a great opportunity to do something simple that made a bigger impact,” said Ross Wallace, HighGround Manager of Sales Development. “It In our own rewards program at HighGround, we offer employees the opportunity to donate to the charity of their choice. We’re happy to say that three HighGround customers — Horizon Pharma , Sonoma Partners and William Blair — were included on the list. Watch and read more about how HighGround customers are working toward being named one of the best places to work. Some HighGround Customers in Chicago Made the List appeared first on HighGround. Lots of “best of” lists tend to come out around this time of year. Best movies, TV shows, books, albums, etc. We get to do three things that are critical to HighGround’s success: 1. By the way, if you register now, you can get a $300 discount on behalf of HighGround. The post SHRM 2018 Recap: The Three Things We Love Most About Conferences appeared first on HighGround. We’re excited to bring back our newest blog series, Hello from HighGround! Read on for his take on the problems HighGround solves and what makes him a happy member of our team. How’d you get your start at HighGround? The belief and vision of HighGround – to facilitate exceptional workplace experiences where employees thrive and employers are known as a best place to work – really spoke to me. Tell us a bit about your everyday life at HighGround. Jason Averbrook, CEO and Co-founder of LeapGen, and Laura Seamans, VP of Organizational Effectiveness for ACT, recently shared their experiences and insights during a webinar called “Workplace Engagement Decoded” moderated by HighGround Chief Engagement Officer, Andee Harris an co-hosted by the Human Capital Institute. The post HCI Webinar Recap: Performance Management Overhauls Are Constant Works in Progress appeared first on HighGround. HighGround , which offers a cloud platform to help managers and employees communicate, recently released a study on the state of performance reviews, and offers some new insights on how companies are striving to improve the process. Performance reviews. Better developing your employees is a top priority for many organizations and to help their own efforts, LRW turned to HighGround’s engagement platform. The post [Video] Better Developing Your Employees appeared first on HighGround. It implemented HighGround’s employee engagement and feedback platform to help its employees recognize one another and perform better. The post Integrating Several Company Cultures [Video] appeared first on HighGround. Craig says they’re using HighGround to help employees realize their potential and embrace “diversity of thought.”. LLamasoft chose HighGround as its tool for employee feedback, goal-setting and recognition. To learn more about how HighGround can transform your employee engagement strategy, download the Continuous Employee Engagement eBook. . The post Infographic: 2016 – The Year of the Employee Engagement appeared first on HighGround. 2018 has certainly been a busy year for us at HighGround, and this year’s HR Tech will be a special one for us as we make our conference debut with YouEarnedIt. Visit the YouEarnedIt + HighGround booth. Spend some time with the HighGround and YouEarnedIt teams at booth #221. YouEarnedIt + HighGround CEO Autumn Manning will be live demo’ing its real-time employee experience platform during the session on Thursday from 1:30 – 3 pm. About HighGround. 20+ years. Prior to using HighGround, Patagonia determined and communicated merit pay, or bonuses, and compensation, or base pay, once a year in conjunction with annual reviews. Patagonia redesigned its process from the ground up with HighGround. appeared first on HighGround. They credit HighGround’s platform with helping them get comfortable with the feedback process to ultimately improve their performance. LRW uses HighGround to offer its employees an alternative to traditional performance management processes, where a single annual conversation serves as a history report of performance. After using HighGround for the past few years, Patagonia has continued to see adoption of its program grow.